Roman Catholicism has traditionally affirmed Scripture’s inspiration and inerrancy; arguments with Protestants during the Reformation developed around the relationship between Scripture and tradition. Roman Catholic teaching considers Sacred Scripture (the Bible, with the apocryphal books) and Sacred Tradition (originally unwritten traditions passed down by the apostles and their successors) to be two integral aspects of the one Word of God. While Roman Catholicism treats tradition as magisterial (tradition possesses normative authority together with Scripture), classical Protestantism treats tradition as ministerial (tradition, reason, experience, and culture are all under the authority of Scripture). Historically, Protestants have admitted that written Scripture and oral tradition were two aspects of God’s special revelation, but that time came to an end with the close of the apostolic era. While Roman Catholics believe the apostolic office still continues today in the church’s hierarchy, Protestants argue that the church’s preaching and teaching ministry no longer lays the foundation built once and for all by the prophets and apostles (Eph. 2:20). There is a qualitative difference between binding apostolic tradition (see, e.g., 1 Cor. 11:2; 2 Thess. 2:15) and the fallible traditions of the covenant community—even its leadership (Mark 7:1–13). Faithful tradition belongs to the Spirit’s illumination, not to inspiration. Thus, creeds and confessions carry a subordinate authority to Scripture, as faithful summaries of Scripture’s overarching scope (its testimony to the triune God and his ways, centering in the gospel of Christ). The witness of the church serves Scripture’s authority rather than establishes it. This includes the nature of the canon’s formation. The church did not create the canon through ecclesiastical power; it recognized these particular writings as the authoritative Word of God. The sufficiency of Scripture is inseparable from its clarity. This does not mean that all parts of Scripture are equally plain or lack depth of meaning, nor does it deny past and present controversy over biblical interpretation within the church. Scripture is clear on its most important matters, when interpreted according to its own witness, within the broader community of faith, and in light of its scope. If such weighty matters of Scripture are not clear in their purity and simplicity, the teacher rather than the text is at fault. Sola Scriptura is not simply an affirmation of the unique authority of the Bible but a confession of the sovereignty of God’s grace—because God alone saves, God alone teaches and rules our faith and practice. In modern and contemporary theology, Protestantism has had difficulty retaining its classical emphasis on the unique authority and sufficiency of Scripture, often folding God’s voice into that of the Christian community or the individual believer. Even those who hold a high view of biblical authority may inadvertently subordinate God’s Word by assimilating contemporary culture’s assumptions about reality, then attempting to address this reality with the Bible. We should rather interpret all of reality in light of God’s Word, allowing Scripture to address us as well as the world. Definitions are particularly important here: The gospel is properly understood as the specific announcement of redemption from sin and death through the death and resurrection of Jesus in fulfillment of all God’s promises, while“culture” may be defined in this context as the common realm of social practices, vocations, beliefs, and assumptions shared by Christians and non-Christians in a given time and place. Like tradition, reason, and experience, culture is not inherently evil or opposed to faith, but none of these testify to God’s gracious and saving action in Christ. The church’s primary “cultural location” is in Christ, under the normative authority of Scripture. When culture is given an authoritative or normative role alongside Scripture in the church, the world cannot be judged or redeemed by the living voice of God from outside itself. HT: Summary taken from chapter five of Michael Horton’s The Christian Faith. One of the more popular passages of the Scripture within Evangelicalism is what is commonly known as the Great Commission found in Matthew 28:18-20. At times this particular commission serves as the foundation for Evangelicalism and other cross-cultural mission work. More recently in the past century American evangelicalism has embraced the need to see that all Christians, of all generations must carry out this particular commission more so than others. 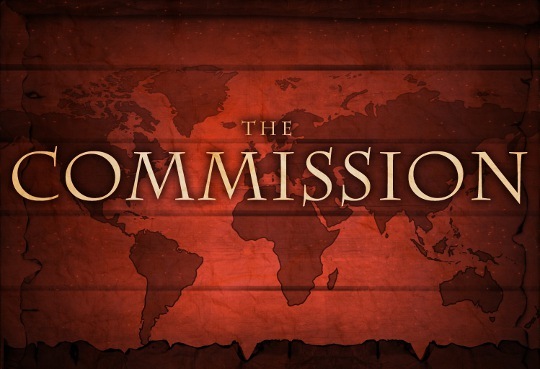 Often times the Great Commission is used as the vision or mission statement in various Evangelical ministries. Some of these ministries may include private education, missionary organizations, and various para-church ministries. The unfortunate mishap of these organizations is that the majority of them misinterpret the Great Commission, limiting its original meaning and intent for the Church of Christ. Jesus’ command to teach disciples and baptize whole nations has been replaced by various educational, missionary, and para-church ministries. This gives the aim of this problematic passage paper – an examination of Matthew 28:16-20 and understanding its original meaning and significance for the officers of the Church. Most commonly Evangelicals see that the Great Commission gives the case for lay evangelism within the Church. How this goes about being carried out within the Church is where Evangelicals lose the theology of the Commission. The most common misinterpretations of the Great Commission can be found in a number of various evangelical ministries that claim to help serve the Church, but in such cases stop and rob the Church of what it is called to do. Of all places, it is in Christian education as well – in private elementary and high schools, college and universities, to higher education like seminaries that commonly mistaken and misinterpret Matthew 28:18-20 using it as the goal of their institution. Offering an historical biography of the person and work of Jesus Christ, the Gospel According to Matthew covers a historical time period from 4 B.C – 33 A.D. As the prophets of old predicted, long awaited the coming Messiah who would come to save their people, Matthew serves Israel’s long awaited event. The promise of a redeemer from Adam (Genesis 3:15), the awaited Redeemer of Job (19:25), the day Abraham rejoiced to see (John 8:56), the reward Moses waited to see (Hebrews 11:24-26), the awaited resurrection of David (2:29-31), and “the prophets who prophesied about the grace” in Jesus Christ (1 Peter 1:8), has now come in the flesh, to earth, to “not come to abolish them but to fulfill them (Matthew 5:17). This brings much light for the reason of Matthews gospel account, written by a Jew, to the Jews that may represent the questions of Israel pertaining whether or not Jesus was who he said he was, namely Israel’s long awaited Messiah. A most striking feature of Matthew’s account is that a “60 percent of Matthew’s 1,071 verses contain the spoken word of Jesus.” Thus, Matthew lays out his account of Christ in a way that relates to his readers – discourses, miracles, parables, and questions. Something that his readers, the Jewish community would have been quite familiar with during its time, thus making Matthew the most Jewish gospel of the four. Dr. Wilkins points out, “many scholars have suggested that the prominent church in Antioch of Syria, whose members included both Jewish and Gentile Christians, was the intended audience of Matthew’s Gospel.” This thought comes from the influence that Matthew’s Gospel had on the early church father Ignatius, an early church bishop of Antioch. As one scholar has pointed out, “Matthew is very concerned to show that Jesus is the long-awaited Jewish Messiah who fulfills God’s promises made to Israel,” making one of the central themes of Matthews account the Kingship of Jesus Christ, the one whom Israel awaited. For most theologians, the assumption is that the author of the gospel wrote his account to meet the needs of those in their area. This is not the case for Matthew’s account. D.A. Carson comments on this issue making reference to Matthew’s geographical location saying, “there is a prima facie realism… that Matthew was working in the centers of large Jewish populations… since the book betrays so many Jewish features,” tying together Matthew’s historical and geographical background with its audience to the Jewish people. Throughout Matthew’s account there are different types of prominent Jewish customs and traditions, without their explanation. Thus his readers of his account would have been familiar with that which they read during his writing. One cannot suggest that Matthew’s account was for only Jewish readers. D.A. Carson writes, “but it is not implausible to suggest that Matthew wrote his gospel with certain kinds of readers in mind, rather than their geographic location.” Carson goes on to add that “tensions between Jews and Christians must have been high when this book was written.” One reason for such a claim is that while Matthew’s gospel account assumes and includes much Jewish culture, it includes at times common Church order that was happening during his authorship. While the focus of Ignatius writing here is placed upon being baptized in the name of the trinity, one can see by whom the administration of the baptism is done. Ignatius saw that it was the apostles that were commissioned to carry out the word and deed. Tertullian follows the thought of Ignatius when he writes regrading Jesus’ instructions to the apostles, “Accordingly, after one of these had been struck off, He commanded the eleven others on His departure to the Father, to “go and teach all nations, who were to be baptized into the Father, and into the Son, and into the Holy Ghost.” While both church fathers agree that the Commission was an historical event having meaning for the Church, they also agree with one another that this historical event was closely related with it being designated to specifically the apostles, and what they were to carry out, namely the preaching of the word, and sacraments. “His (Jesus) authority is manifested in… the means of Grace which the church must administer, namely, the word and the sacraments, Matthew 28:19-20. In these matters no one else has the right to legislate.” Louis Berkhof saw that Christ’s Commission was the Apostles ordination. The keys of the Kingdom of God were passed from the authority of Jesus Christ to the Apostles, to carry out the duties of the New Testament Church, namely making disciples (preaching) and baptizing (sacraments). Louis Berkhof goes further in his explanation, “he gave to the church its constitution and officers, and with divine authority, so that they can speak and act in his name.” This one sees the first officers of the New Covenant being ordained as officers of the New Testament administration of the Church, given authority and power, and what duties they are to carry out. The giving of the (Great) Commission has been debated throughout Christendom and gives much weight to how a Church practices its evangelism, or goes about its witness. Specially the debate lays to whom exactly was the commission directed to and who are its beneficiaries? Exegetically breaking down the text will help one see its original meaning and application to the question above. “Now the eleven disciples went to Galilee” shows that during this commission only some of Jesus’ disciples were present. As Dr. Freeman has made mention concerning this, “the phrase ‘the eleven disciples’ is a reminder of the tragedy of Judas’ failure and subsequent suicide.” The fact that the disciples went on to Galilee shows two points of importance. One, that the disciples followed Jesus Christ’s command in Matthew 28:10, “Then Jesus said to them, “Do not be afraid; go and tell my brothers to go to Galilee, and there they will see me.” This shows that the beginning and the end of Jesus Christ’s minstry was in Galilee, full of Gentiles. The second item brings much weight to the greater context of the Commission. John Calvin writes about this stating, “Matthew, passing by those occurrences which we have taken out of the other three evangelists, mentions only in what the 11 disciples were completed to the apostolic office… Matthew has therefore selected what was of the greatest importance to us, namely, that when Christ appeared to the disciples, he likewise commissioned them to be apostles, to convey into every part of the world the message of eternal life. Jesus Christ’s intention to meet with his disciples, who would soon become apostolic officers of the New Covenant community, given a specific task that would be carried out with the coming of the Holy Ghost, that they might tell the world of the message of Jesus Christ. For this was the very reason that Jesus Christ summoned his brothers to Galilee. For if Jesus Christ’s Commission was given to the whole of the Church, then why not include Mary Magdalene and the other Mary who went to see the tomb in Matthew 28:1. No, instead Christ appeared to them, the eleven, so that he might summon His officers of the New Covenant, that they might meet him alone for His own purposes, namely that is to Commission them to their New Covenant duties of Apostleship. For “to the mountain to which Jesus had directed them,” this likely refers to the mountain in Galilee known to Mary. John MacArthur has commented, “This seems the most likely location for the massive gathering of disciples Paul describes in 1 Corinthians. 15:6.” Dr. MacArthur speculates that Matthew’s account is in accordance with Paul’s reference of the “500 brethren at once” that Christ appeared to. Matthew’s account gives no indication that this is fact. Matthew’s account to “now the eleven disciples,” no more, no less, these are who were summoned by Jesus Christ for Mary and Mary to send, and these are who Matthew accounts for being present at the mountain in Galilee. Many, like Dr. MacAruthur read the following in Matthew 28:17, “and when they saw him they worshipped, but some doubted” as proof to the assumption that many more were gathered at the mountain in Galilee, because how and why would have the disciples “worshipped” by yet still “doubted.” Dr. Freeman list three possible interpretations of this text. Two, that Matthew refers to a group other than the eleven disciples. Thus, the disciples worshipped Jesus while others, who were also present but not mentioned, doubted. The third interpretation takes the nominative in hoi de to have the same subject as the main verb. That is, those who worship and those who doubt are, in fact, the same individuals. “Never, certainly, would the Apostles have had sufficient confidence to undertake so arduous an office, if they had not known that their Protector sitteth in heaven, and that the highest authority is given to him; for without such a support it would have been impossible for them to make any progress.” The authority from God, given to Jesus Christ, is now coming before and to the disciples. Some scholars have noted that this claim to have been given authority is in fulfillment to Daniel. Jesus most certainly is the fulfillment of Daniel’s reference to the “Son of Man,” it is not clear if “all authority is given to me” is directly drawn from Daniel 7:14, “And to him was given dominion and glory and a kingdom, that all peoples, nations, and languages should serve him.” Dr. G.K. Beale comments on this theme in his Biblical Theology, “Jesus is the “last Adam figure,” and this is partially why he did not listen delete identifies himself with the Daniels “Son of Man” in issuing the universal commission to his followers in 28:18 he is the “son of Adam,” the equivalent to Daniel’s “Son of Man,” finally accomplishing what the first Adam should have and what Daniel predicts the messianic end-time Adam would do.” The main thrust of Matthew’s reference to Jesus Christ’s authority is that He, is who the disciples must fully rely upon for the Commission, and submit to in obedience fulfilling the Commission. Matthew moves on in his gospel account by using “οὖν” (therefore) to give his readers the understanding that the coming commission flows out of the previous reasoning, Jesus’ authority. Dr. MacArthur has pointed out that it is, “His (Jesus Christ) authority, the disciples were sent to make disciples of all nations.” Theologian R.D. Culver have argued that since “πορεύομαι” starts the verse, that one may translate it not as a command, but as a present participle “as you go.” Seeing that “as you go” is a present participle (going), leaves the only command in the entire commission being “make disciples.” The question that lies here, is to what length does this particular command “make disciples of all the nations” extend to? If further than only the Apostles, to exactly who? While some theologians are inclined to believe that this (Great) Commission is given to the whole of the Church, the importance of the passage lies here in the directive command give by Jesus Christ, by his authority, to a selective group of people, namely the Apostles. These men, were in a sense, moving forward from being discipled and now commanded to teach others, like Jesus Christ taught them. For Christ’s work was complete, and the present leader of His people was soon to leave. It is here that Christ authorizes by his God given authority the new officers of the New Covenant Community, the Apostles. Matthew in verse 20 personalizes the command “make disciples” by adding personal pronouns “ὑμῖν” and “ὑμῶν.” Thus, the recent individuals (disciples) are the same individuals that have been commanded to meet in Galilee, have worship and doubted, and now been commissioned. Here Jesus Christ extends his God-given authority to those that have followed him for the past three years. G.K. Beale writes on this stating, “Even the divine accompaniment formula occurs in Matthew 28:20 to indicate how the disciples will be empowered to carry out the commission.” It is the authority by which God has given Christ, that now Christ is passing on to the officers of the Church, the Apostles. For there are no more prophets or kings in office to govern God’s people, but the Prophet and the King is ordaining his disciples to a new office of Apostles. John Calvin comments on this office and passage stating, “let us learn from this passage, that the apostleship is not an empty title, but a laborious his office, and that, consequently, nothing is more absurd or intolerable than that this honour should be claimed by hypocrites, who live like kings at their ease, and disdainfully throw away from themselves the office of teaching. One of these duties of the Apostles Commission is to administrate (those that believe upon Jesus Christ) the sacrament of baptism for the sake of identification with Jesus Christ. Such an act associates one with Jesus Christ, making them a disciple of him. The verb here “βαπτίζω” (baptizing) serves as a present active participle, used as an imperative. Robert James Utley has commented on this stating, “This (baptizing) is balanced with “teach” (v.20)… They cannot and must not be separated! The two items that Jesus Christ includes to make disciples for his Apostles look very similar to the same two items the officers of the church carry out today – teaching the Word, and carrying out the sacraments. The second item of “making disciples” includes “teaching them to observe all that I have commanded you.” The second present active participle that is place in conjunction with “baptizing.” Along with baptism, teaching is the way that Jesus Christ commands his Apostles to “make disciples.” Scottish pastor and theologian Iain Campbell writes, “Disciples are made by teaching and are nurtured by teaching.” The Apostles are not to use their own laws, or own inventions, but are to teach believers the commands of Jesus Christ, the same commands that Christ himself had taught his disciples while on earth. This one sees the duties of the office of Apostleship – teaching the Scripture, and practicing the sacraments. The same elements that later would be passed down from the Apostles to the office eldership. Jesus Christ though does not entirely resign from his office, but continues to teach those by his Word through the officers and teachers of his Church. At the end of the Commission, Christ gives the Apostles a promise, “I am with you always” along with assurance “to the end of the age.” “I am with you always,” is given with the conjunction “ἰδού” (behold) “to strengthen their faith, and engage their observation of it.” This emphatic introduction to Jesus Christ “I am with you always” promises the personal presence of him with his Apostles. Matthew Poole comments, “I am and I will be with you, and those who succeed you in the work of the ministry.” While Christ does not psychically remain with his Apostles, his spiritual presence is promised to them as they carry out the office of Apostleship during the progress of the New Testament Church. Many scholars have noted, “At the outset of the Gospel, Jesus was named ‘Immanuel’, God with us (1:23), and he promises in the course of the Gospel narrative that even where two people gather in his name he is there (18:20).” The very presence of God, placed in Christ, by the Holy Spirit is now promised to the Apostles as they carrying out this Commission. As the Apostles follow Christ Commission, preaching the Word and practicing the sacraments, it is this promise that aids their process in “making disciples.” Many have argued that “to the end of the age” gives textual proof that this Commission is great in recipients. This cannot be the case, the promise is to those who are the officers of the Church, not laity. For how can a woman, let alone child preach and teach the Scriptures, and carry out the administration of the sacraments for the congregation? While the promise is true for the whole of the Church, it does not state that all are called to the Commission. Calvin notes, “for the Lord promises his assistance not for a single age only, but even to the end of the world. It is as if he had said, that though the ministers of the gospel be weak and suffer the want of all things, he will be their guardian, so that they will rise victorious over all the opposition of the world.” Jesus Christ, establishing His Kingdom, sends out his officers of the New Testament Church in his comforting promise as they await for his bodily return to judge and gather those that are his. Promising “to the end of this age” gives the Apostles assurance that what Jesus Christ started with them over three years ago will not cease when he ascends to heaven. As the Apostles are sent out to preach and teach the Word and administrate the Church, they had Jesus Christ’s great promise till time is no more. Jesus Christ as King and head of his Church has appointed a government, in the hand of the church offices which remains distinct from the civil magistrate. To the officers of the Church the keys of the kingdom are handed (Matthew 16 & 18). Jesus Christ did not authorize the civil magistrate to use the keys of the kingdom, but has Commissioned his disciples unto the New Testament Office of Apostleship. Jesus Christ gave the keys to the visible, institutional Church to be administered by her officers under his authority. This (Great) Commission was the ordaining of the Apostles unto this office, so that they may preach and teach the Scriptures that Jesus Christ himself had expounded to them (Luke 24:44-47), and carry out the administration of the sacraments, Lord’s supper (Matthew 26:17-30) and baptism (Matthew 28:16-20). Jesus ordaining the disciples into the office of Apostleship, passing the keys and authority that had been given to Him from His father, sending out the Apostles on their commission, “to teach and baptize… to all the nations” meaning both to the Jew and Gentile takes place before His ascension. Later in the New Testament, it is this office of Apostles and commission of teaching and baptizing that had been given to them by Jesus Christ himself that is passed to the office of eldership (Acts 14:23, 20:28; Titus 1:5). Jesus Christ commands the twelve apostles to go and reproduce that of which Jesus Christ had done with them. Thus the Apostles, officers, are called to evangelize, and not the laity. The question that must be asked is this, how does one get anything about lay evangelism from Jesus Christ’s Commission to his Apostles? The apostles were officers, they were not laity. Something that seems evident, yet consistently forgotten when reading and interpreting the text. Robert Rollock while preaching on Matthew 28:18-20, interpreted that Christ’s Commission was directed and given to the Apostles, and the officers of the Church. As the keys of the Kingdom were passed from Jesus Christ to the Apostles, so the Apostles ordain elders to the preaching and practicing of the sacraments. Rev. Rollock spoke, “for the Lord says, I shall be with you unto the end of the world; but so it is, that the apostles are now dead, they are no more in the world. Therefore this promise is made unto the ministers of the church, to the successors of the apostles, who should remain in the church until Christ’s coming to judgment.” The Commission, is the passing of the keys of the Kingdom, with all his authority given by God, through Jesus Christ, and the coming enablement of the Holy Ghost. Jesus Christ established his church of the New Covenant on the foundation of the apostles and the prophets (Ephesians. 4:11). It is here in Jesus Christ’s commission that the apostles are appointed to be witnesses of Jesus Christ, testifying by the enablement of the Holy Spirit, of what they had seen and heard. In what way might this apply, better yet change the way that the Church sees evangelism? By understanding that not all are called to the spiritual gift of evangelism. No doubt is the whole of Jesus Christ’s bride to be a witness, a city on a hill, both salt and light to the earth, but as the Apostle Paul has said in Ephesians 4:11, “And he gave the apostles, the prophets, the evangelists, the shepherds and teachers, to equip the saints for the work of ministry, for building up the body of Christ.” It is the Evangelists here Paul speaks of that are called unto ministry, gifted, and commissioned unto office by the authority and power in heaven, Jesus Christ. The Evangelists, in common with other ministries, is elder, one who functions like that of the pastor, who is distinctive to the role of an Evangelist. This gift and calling is not for everyone, but for those called upon by the authority of Jesus Christ, through the promise of God the Father, enabled through the Spirit to serve and promote his Church. What is With All this Gospel Talk? Graeme Goldsworthy, Preaching the Whole Bible as Christian Scripture, pp. 81-83. Red Sky at Night, Sailor’s Delight . . .
“1 And the Pharisees, together with the Sadducees, came, and tempting desired that he would show them a sign from heaven. 2 But he answering said to them, About the commencement of the evening you say, It will be fine weather; for the sky is red. 3 And in the morning, There will be a storm to-day; for the sky is red and lowring. 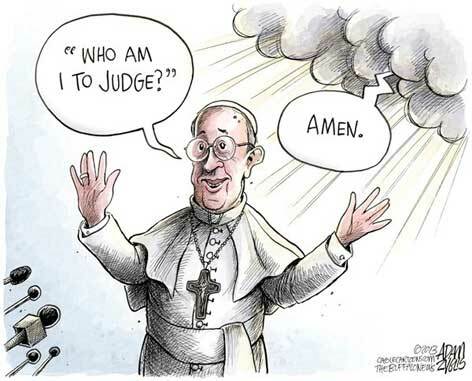 Hypocrites, you can judge aright of the face of the sky; but can you not judge of the signs of the times? 4 A wicked and adulterous nation demands a sign, and no sign shall be given to it but the sign of the prophet Jonah. And he left them, and departed.” Thus is the reading of God’s Word. Verse 3 says, “Hypocrites, you can judge aright of the face of the sky.” We have all heard the saying “Red sky at night, sailor’s delight. Red sky in morning, sailor’s take warning.” The practical origins for this nursery rhyme are based on weather predictions and how a red sky at night would indicate fair weather on the following day. The rhyme itself came about in England that would refer to a shepherd who would say that a red sky in the morning was suggesting inclement weather to follow. In America here, the words relate to a sailor doing the same. It should be remembered that there were no weather forecasts, for one had to make his own weather predictions by the sings before them. Those with the most knowledge and experience, such as Sailors and Shepherds, whose lives were dependent on the weather and knew the changing weather patterns that were indicated by a “Red Sky at night”. This was true during Jesus’ time as well. Christ reminds them that His power has been made manifested to the naked eye that they can see themselves here on earth. Christ reminds the Pharisees and Sadducees that they on their own accord could not shut their eyes to the clearest of light. Christ reminds them that sometimes a storm unexpectedly arises, and sometimes fair weather springs up when it was not expected, yet the instructions of nature are enough for them to predict from signs whether the day will be fair or cloudy. Christ therefore asks the Pharisees and Sadducees why they do not recognize the kingdom of God, when it is made known by signs that are not less known. This shows that Pharisees and Sadducees were occupied with earthly things and cared very little about anything that related to the heavenly and spiritual life of Christ’s Kingdom, but what is most important in this section of the text is that Christ calls them “hypocrites.” Why does Christ use such strong language as this? Because they pretend to know as that if it were exhibited to them, they are not willing to see the truth right in front of them. The conclusion that we can see here in our text is that these ignorant Pharisees and Sadducees are not at liberty to predict the aspect of the sky whether they shall have fair or stormy weather. It is rather an argument which Christ places on the regular course of nature. That argument is this, that men deserve to perish for their ingratitude, who, while are sufficiently know the matters of this present day life, yet knowingly and willfully quench the heavenly light and truth by their own stupidity. Does not the same reproof and rebuke of Christ to the Pharisees and Sadducees apply to us? The same reproof applies nearly to the whole world does it not? For mankind continues to direct their skill, imagination, and apply their senses, to their own immediate advantage in this world. Like the Pharisees and Sadducees, sailors and shepherds, we can easily tell the natural signs that are around us in this world like the weather, but how come we have no or little concern about the signs by which God invites us to himself? Is it not because every man gives himself up to willing indifference and smothers the light which is offered to him? There may be some of you here today that have the description of these men in our text called “hypocrites” who while seeking after signs to fulfill their own desires, miss the utmost desirable Sign in front of them, Jesus Christ. Like the Pharisees and Sadducees did not know they were hypocrites, the lost are pleading like them. They are pleading with God to suspend their judgment because they are waiting until they have a sign that is right for them, that then, only then they will follow Jesus Christ. There may be some of those that read this post that even try to avoid God’s Sign, and in your slothfulness you wait and neglect your own salvation of your soul with excuses like the Pharisees and Sadducees for gross and stupid ignorance of that which has already taken place, the greatest Sign of God to mankind, that is His son, Jesus Christ. For these Pharisees and Sadducees had the signs of the Old Testament; the tree of life, the flood, the signs given to Abraham, Isaac, and Jacob, the signs of Moses and Aaron, from the plagues in Egypt to the parting of the Red Sea, the signs in the wilderness from the cloud that lead Israel, to the signs that provided water from a Rock and manna from Heaven, the signs within the Law from its offerings and atonement for sin, to that of the priesthood that carried out the duties of the Law, the signs of Elijah and Elisha during the kings and kingdoms, to the signs of the prophets, from that of Daniel and the lions to the specific sign in our text Jonah and the fish. They the Pharisees and Sadducees would what it seems have all of the signs they would have ever needed to know God, but they missed the Sign sitting in front of them. For those that do not know Christ, may you not miss Him. For those of you that do know Christ, may I friendly remind you that you have inherited salvation through the greatest Sign God has ever given to His people, Jesus Christ, and you need no more. Heaven is a prepared place for a prepared people. Because heaven is a prepared place, our Christian lives should be characterized by rejoicing and anticipating being with the Lord. Because heaven is for a prepared people our Christian lives should be characterized by repentance and turning away from ourselves. Therefore, the Christian life is both one of rejoicing and repentance, at the same time. In fact, it could be said that, though we mourn over and hate our sin, our repentance should be joyful knowing that God has promised bring to fulfillment that which he began in us, namely the glorification of His Son in us. There is no genuine joy without thorough repentance, and genuine repentance ought to bring about increasing joy as sin is displaced and we draw nearer to Jesus. We often call Christians “believers”. “We are a gathering of believers . . .” but Christians are also “repenters,” so why don’t refer to a gathering of repenters? Our response to the gospel at conversion is both – a repenting faith or believing repentance, and our response to the gospel from that moment on is the same. The more we behold Jesus by faith as seen in the gospel, the more we are transformed into His image from one degree of glory to another. If there are no degrees of glory being experienced on earth, then what, pray tell, would such a professing Christian claim to experience in heaven? The very degrees of glory we experience in the daily transformation of our lives through repentance and faith are meant to be a foretaste of the fullness of glory to be seen when we are “taken up into glory.” To miss it here is to forfeit it there. In heaven, whom we have treasured by faith will become sight. But if we fail to look upon Jesus by faith, turning from ourselves and our idols, then we have no reason to expect our eyes to behold the one whom our hearts failed to treasure. No, heaven is for a prepared people whose hearts have become fertile soil for the gospel where idols and rivals to Jesus have been crushed by repentance and the reign of Jesus established by faith in all that Jesus is for us in his life, death, and resurrection. For when we are raised with him in glory to be united forever, we will recognize a people who have become like the one whom they have beheld as gospel-inducing repentance has, step by step, degree by degree, taken us homeward on the journey to glory.